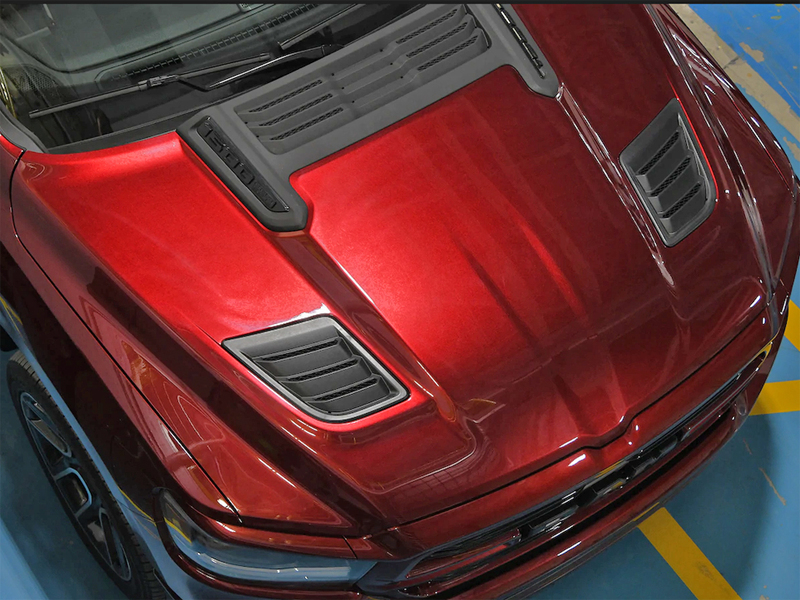 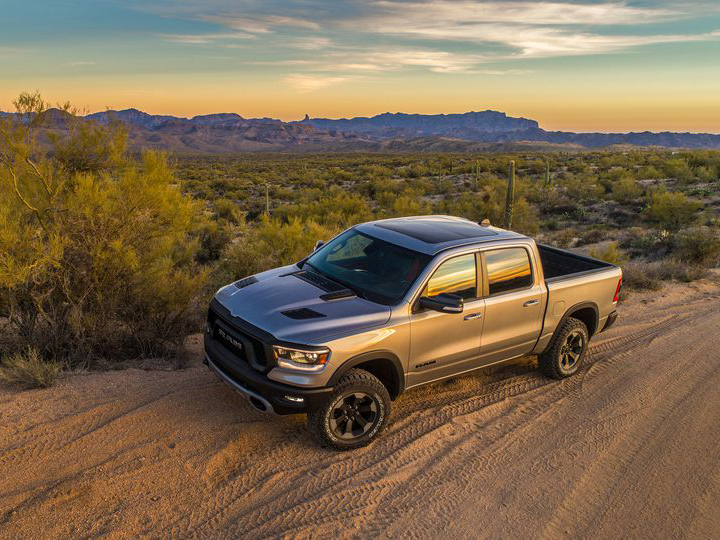 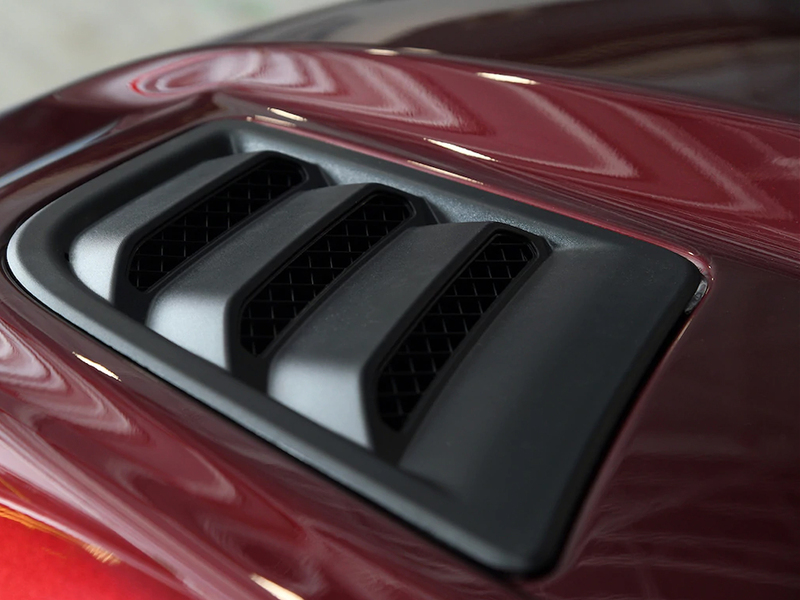 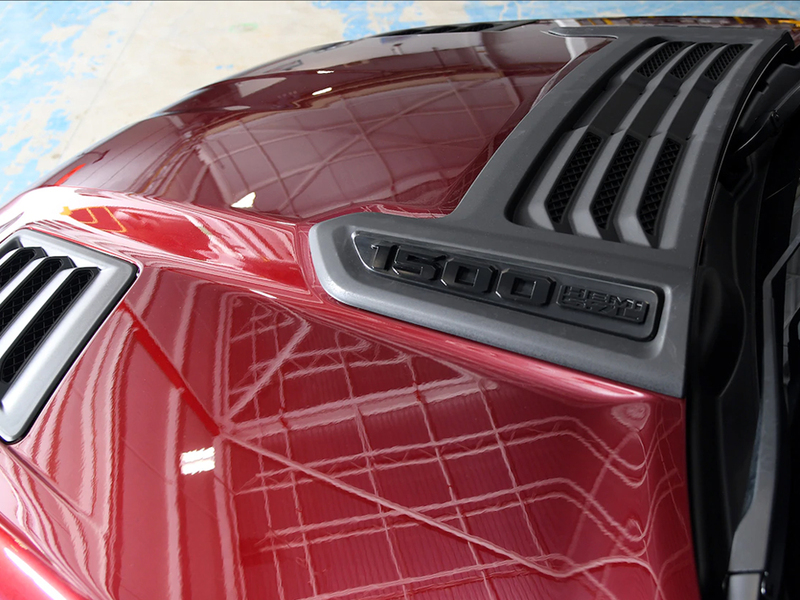 All the New 2019 Ram 1500 Rebel Hood, This Dodge Ram Rebel performance hood is made by Dodge and is METAL E-COAT MOPAR GENUINE OE product. 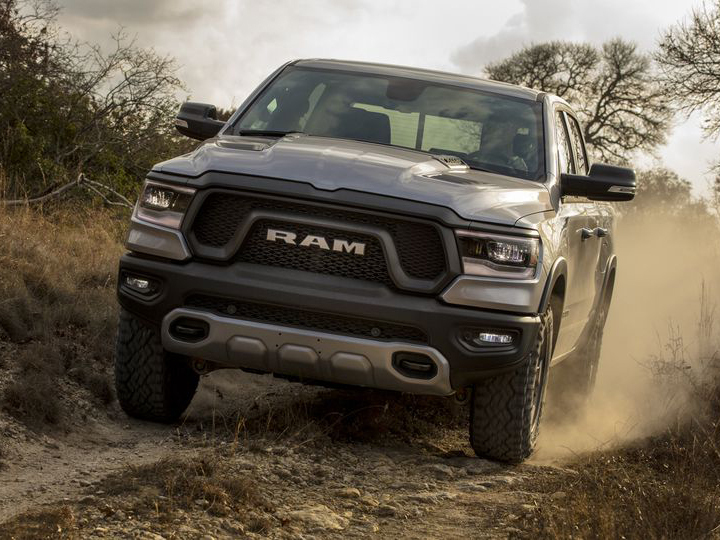 The Rebel is known as a no hold back and in your face design truck for those craving off roads. 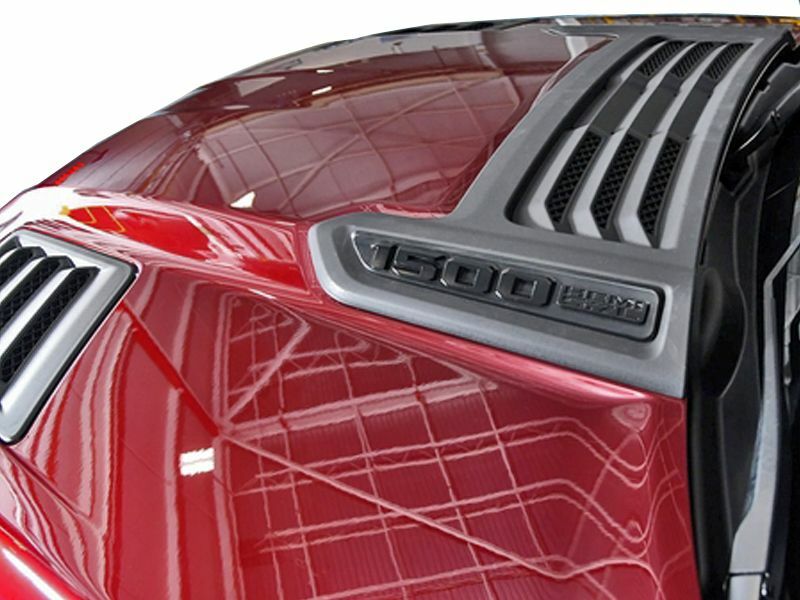 For those looking to get the design of the Rebel hood without the Rebel price, now is available to order and will fit all the 2019 Ram 1500 trucks. 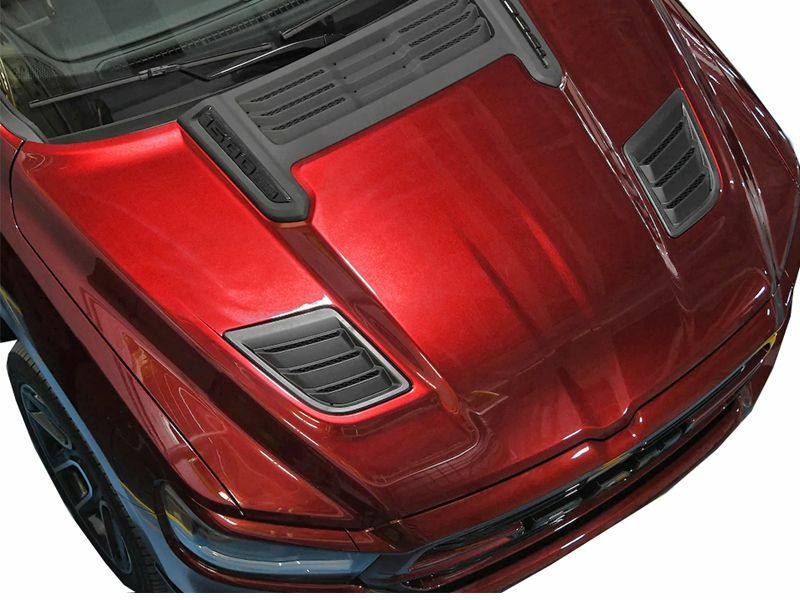 This is a warranty hood by Mopar and is made of metal not fiberglass so prep work is done in less time. 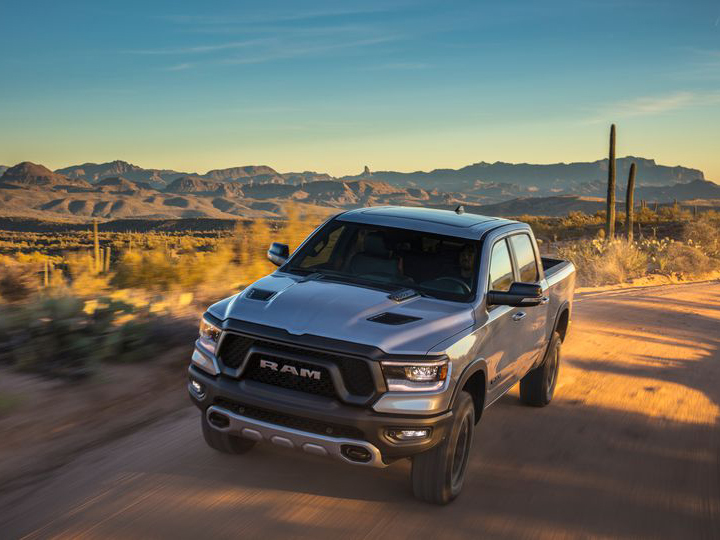 The Ram 1500 Rebel hood includes performance heat extractor hoods come with Bezels that includes Center Bezel and both left & right bezels!